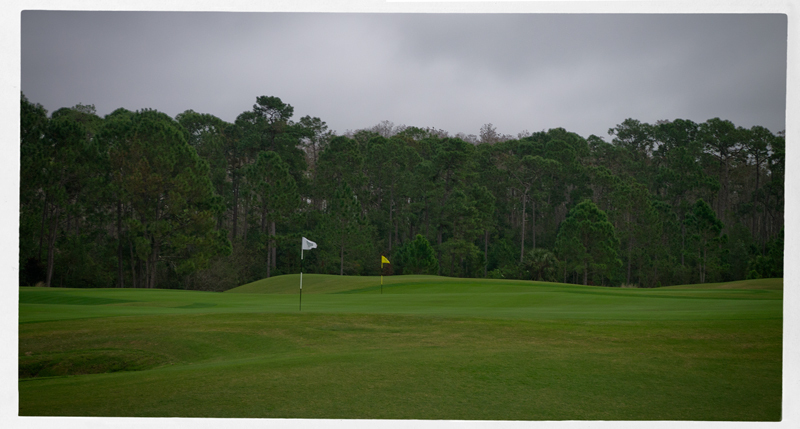 After playing my first round in Florida at Waldorf Astoria I had two hours left till the next tee time at Grand Cypress New Course. 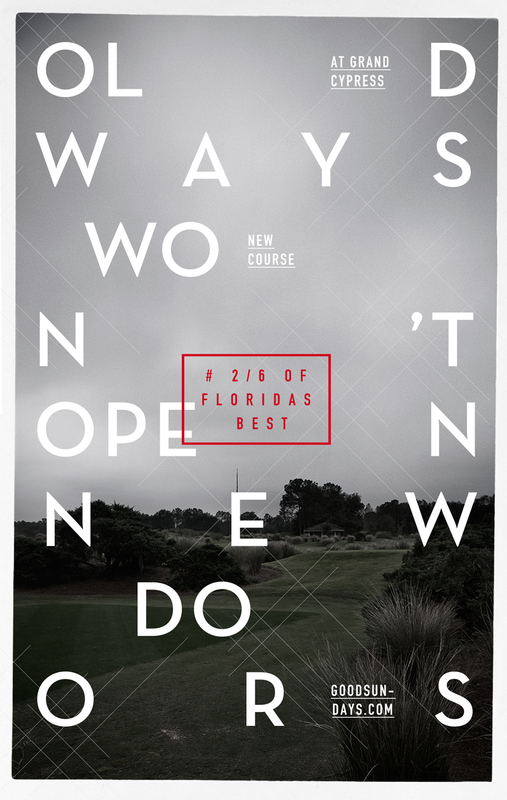 It is placed as no.13 on the Golf.com hot list of 25 best public courses of Orlando. 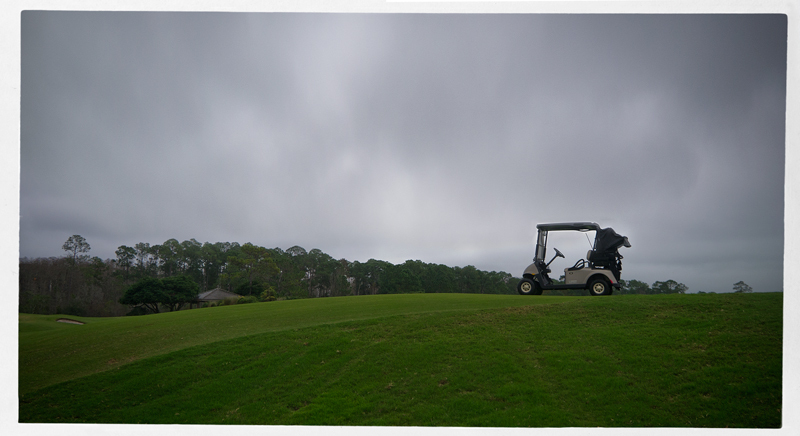 Arriving there I just got my cart and instructions how to get to the first tee. I was lucky that I brought my rain gear with me. 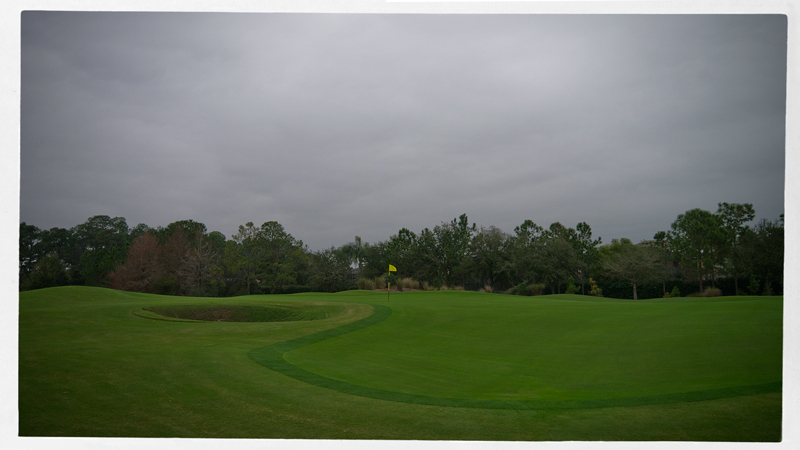 It was getting colder and looked kind of rainy and the wind was getting stronger and stronger. 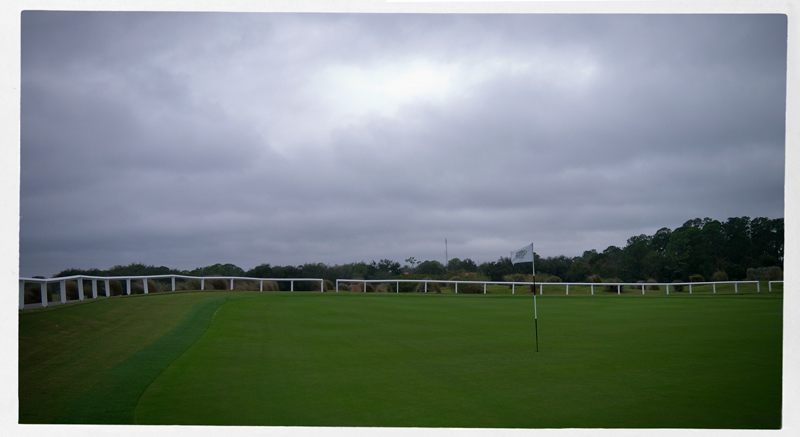 I had to wait a little bit until my tee time so I used the time practicing my putting stroke. Then I met my flight partner, he was in his best ages and seemed to be a very interesting wise man. So we went to the tee box and I hit my drive – again a very good one. Every time I used my new driver I felt so confident. 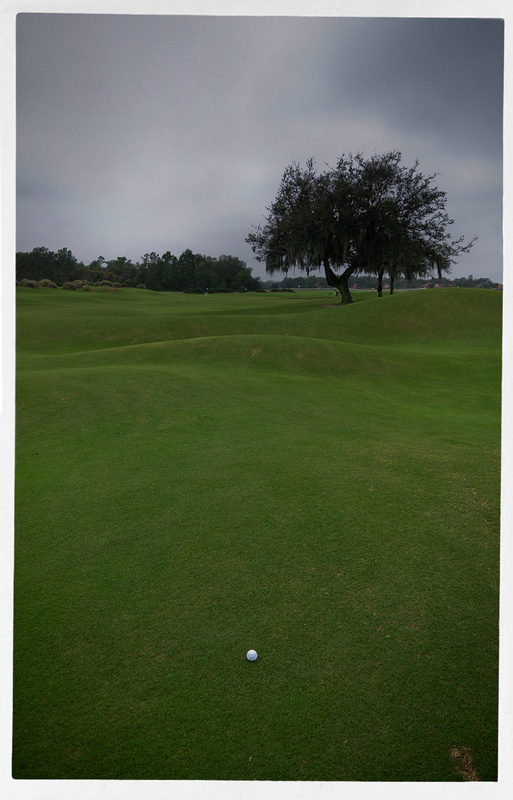 I placed it in the middle of the fairway so I had just a 9 iron left to attack the green. 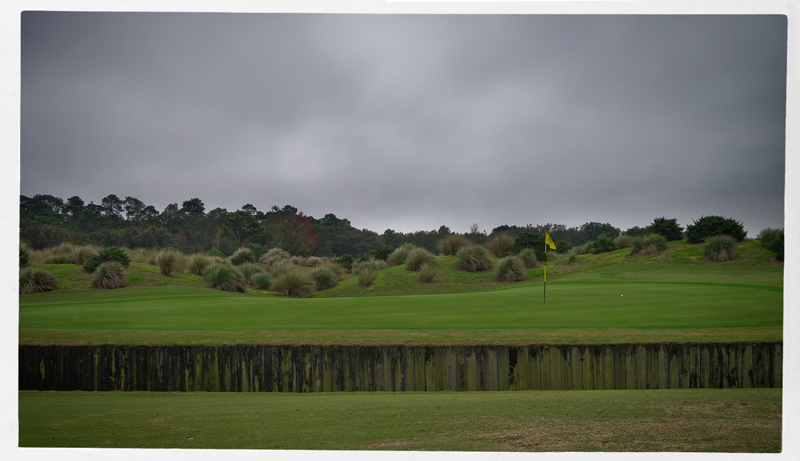 This shot was quit difficult – straight into the wind but it was way to short and ended up in the water hazard. I had to wrote down a double bogey. 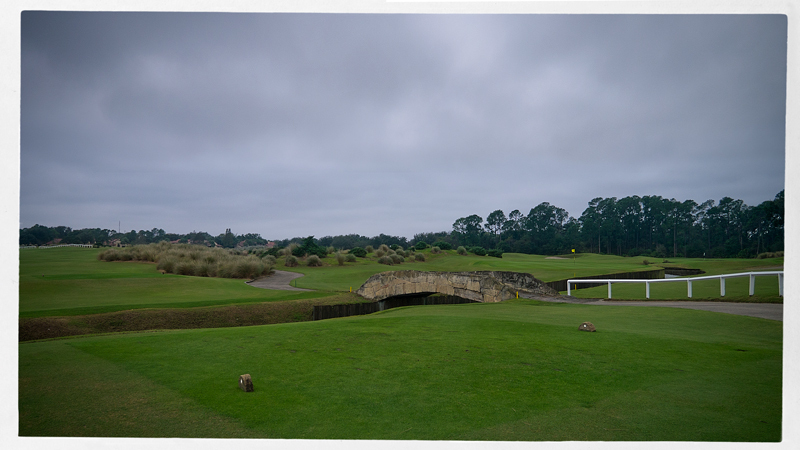 The 347 yard long par 4 was a pretty good replica of the first hole of St.Andrews. 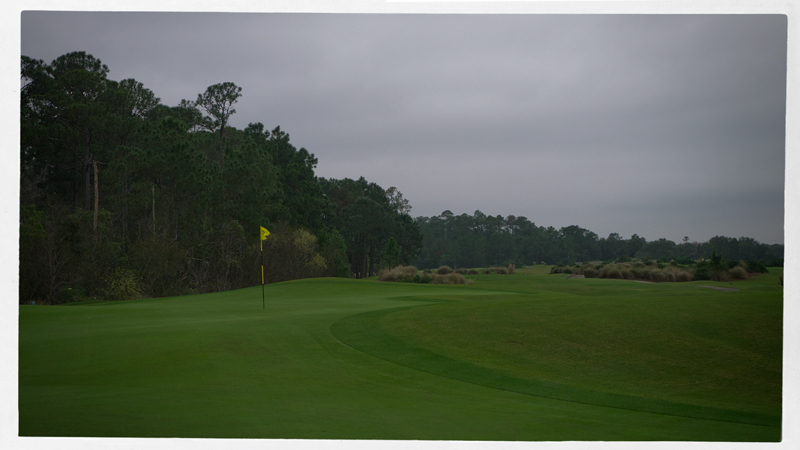 Now the penny was beginning to drop, Grand Cypress New Course was a replica of a links course with many similarities to famous Scottish links courses. Pretty cool at this moment was the fact that the unusual weather of Florida which was rainy and very windy made this round to a very authentic one like it would be in Scotland. It felt so real and I was very happy my golf was surprisingly at it’s best in this moment. 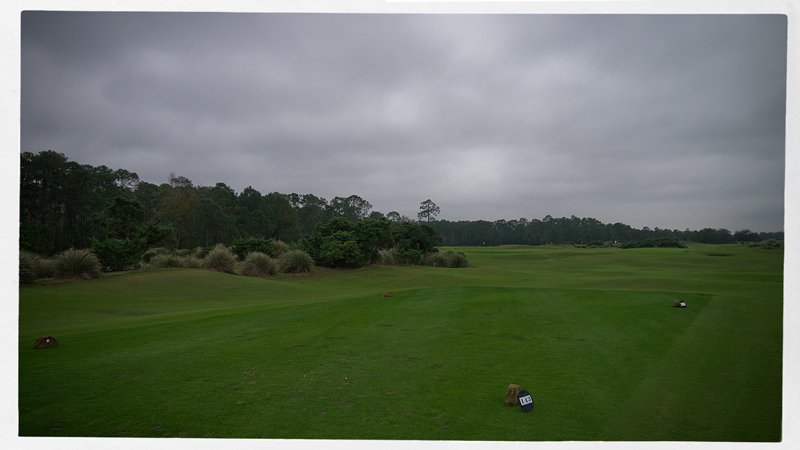 In summary I hit 65% of all fairways and 56% GIR, very unfamiliar but true and this round should be my best one in the US so far. After 6 holes my flight partner asked my about my driver and my 5 wood and I told him that these are my newly fitted weapons by Hole in one fitting. He was very attracted by my driver and 3 wood. He told me that he collects iron sets only from japanese brands and he already owns 67 of them and he also builds most of them on his own. As the rain got stronger he quit his round. I was as if in trance, still totally stoked and on fire. 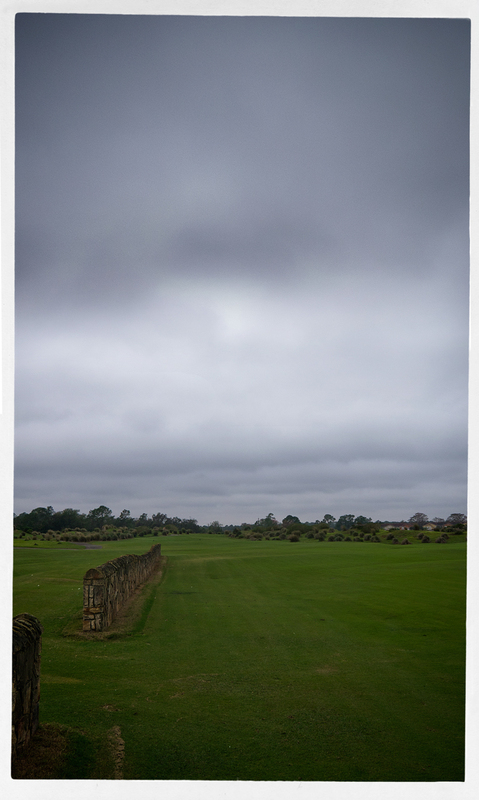 A big wish of mine is to play true links in Scotland and Grand Cypress gave me a little impression of how it could be. 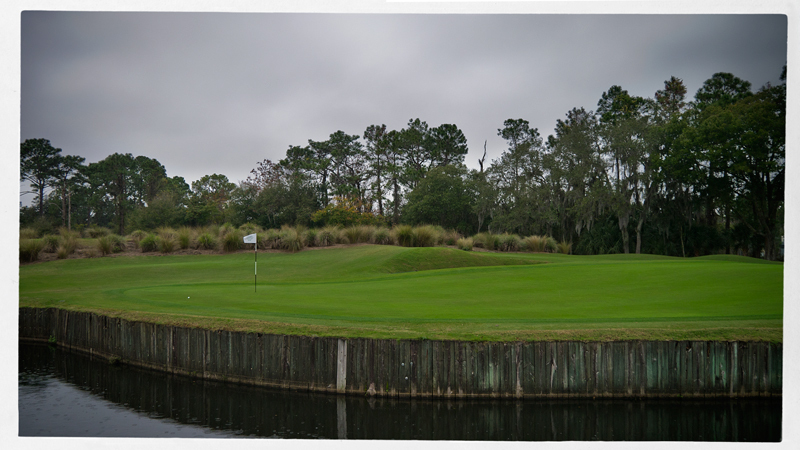 This course is just lovely with it`s many details, the put bunkers, the high ruff and the double greens combined with cool details like the brick wall on no.15, a long par 5 with 544 yards. The brick wall reminded me of an old Scottish fence. Of course I placed my ball so close to the wall that I just could hit a small rescue shot. 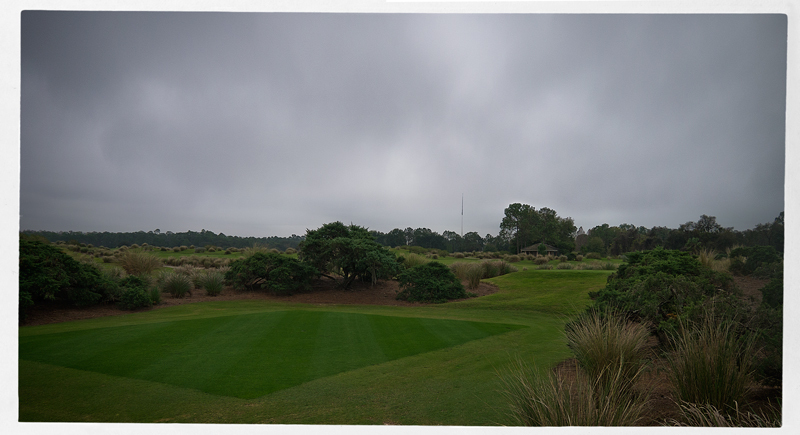 Anyways my 4th shot landed on the huge double green and I had two putts for a boogie. 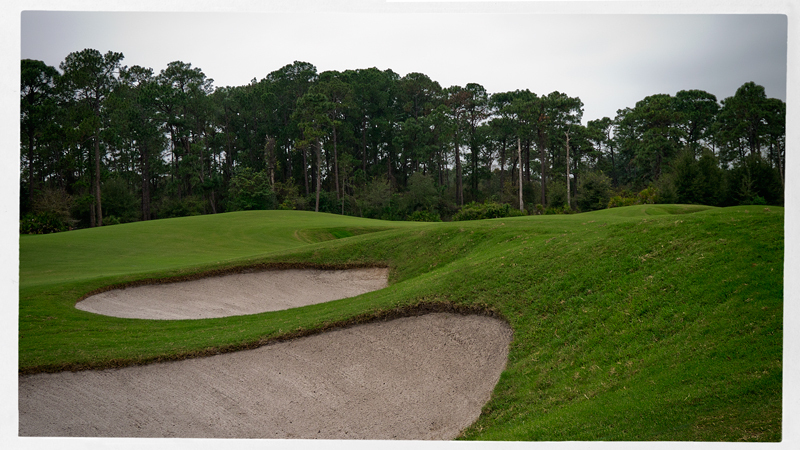 My goodsundays.com signature hole at Grand Cypress New Course was the 18th, a par 4, 350 yards with a drive straight in the wind. Again this hole reminded me on St.Andrews with the small bridge just after the tee box and its white fence which surrounded the green. My drive was straight but short, also the 6 iron. But I had a good short game and could place my ball on the dance floor. Here I finally struggled with the fast greens and my concentration. The result was a 3 putt and I had to write down an ugly six but at the end I was so lucky having made this experience.